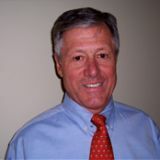 Bill Ullrich is a more than 40-year veteran of the fence industry and currently serves as the Principal of Link Consulting LLC. During his career, he has concentrated on marketing, sales, design and the manufacture of fencing products including fence framework. Before forming Link Consulting, Ullrich served in various management positions at companies such as Master Halco and was President, Owner and Partner of Anchor Fence. Bill graduated from the State University of New York.